Fits Model 95, 82A1/M107 and M107A1. 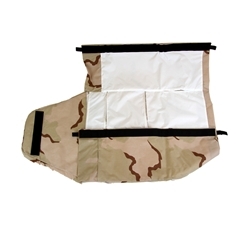 Soft Carrying Case, Shoulder Straps, Fold Out Shooting Mat. Reversible from Desert Camo to Winter White.